Functional changes aside, Windows 10 has also introduced a lot of visual changes to the operating system which bring it in line with Microsoft’s new design guidelines. Some, like me, will never be able to go back because the new designs look gorgeous, for the most part anyway. Others will want to have access to the new Windows 10 features without changing too much about their PCs in the visual department which is also understandable. 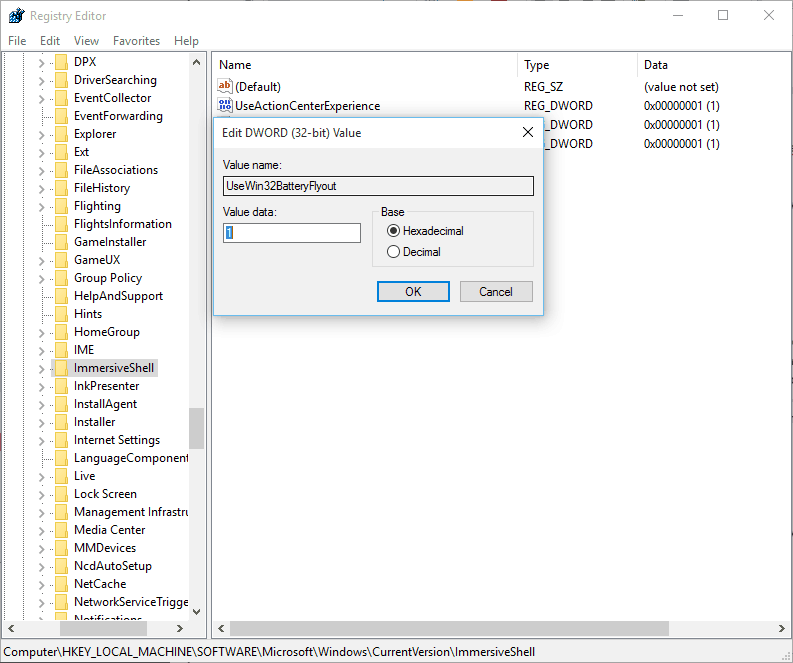 If you belong to the latter group, read on to find out how you can bring back the old volume controls, clock and calendar and power indicators in your Windows 10 computer. Quick note: To achieve the changes mentioned in this post we are going to be modifying the Registry. It is highly recommended that you follow the steps mentioned here to the letter and to also back up the Registry before you proceed. Check out our guide here on how to do that. 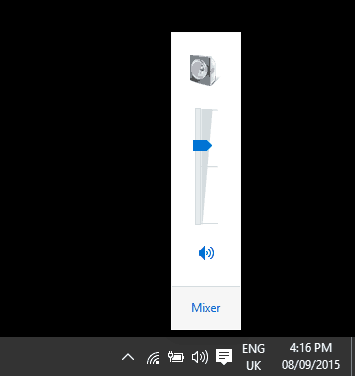 The only real difference between the old and new volume controls is visible when you click on the sound icon so that you can adjust the volume of your PC. Whereas the new controls are horizontal and borrow from the new design guidelines with matching colors, the old ones are vertical, uglier but also more functional as they have a link to the Sound Mixer at the bottom. 1. Open the Registry Editor (regedit.exe). The easiest way to do that is to press WinKey + R, type in regedit.exe and hit the Enter button. 2. Go to HKEY_LOCAL_MACHINE\SOFTWARE\Microsoft\Windows NT\CurrentVersion\MTCUVC. It is very likely that the MTCUVC key will not exist so just add it manually. 3. 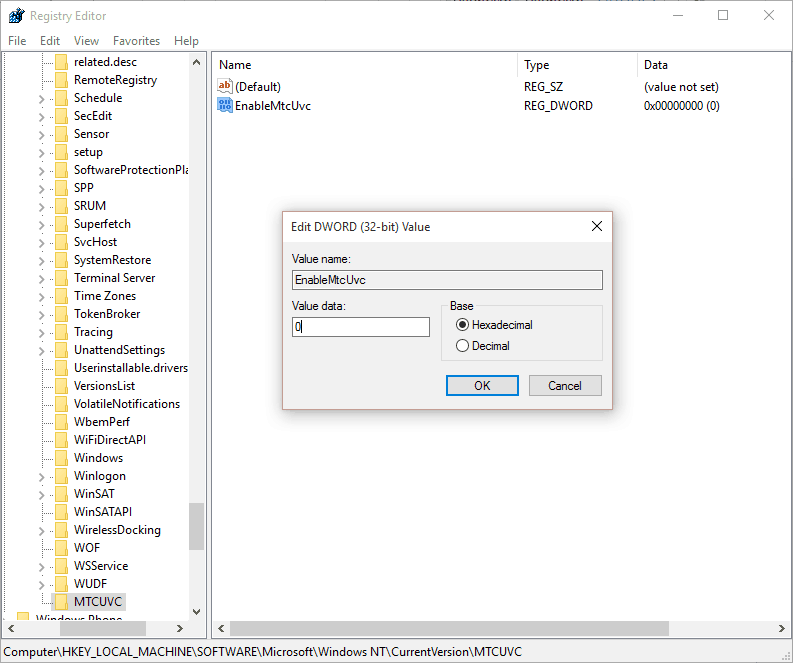 Right click on an empty space of the right side pane and create a new DWORD (32-bit) Value and name it EnableMtcUvc. 4. Double click on it and make sure that its value is set to 0. 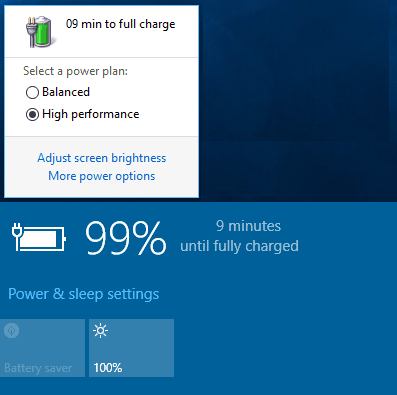 Like most other Windows 10 changes, the battery power indicator interface was altered to include a feature that you can only find in the new OS: the Battery Saver. The new interface is certainly pretty but for some reason, Microsoft has decided to remove the easy access to the power options so switching between high performance and battery saving plans now includes a lot more clicks as you first have to go to the Settings menu and then open the Power Options window from there. 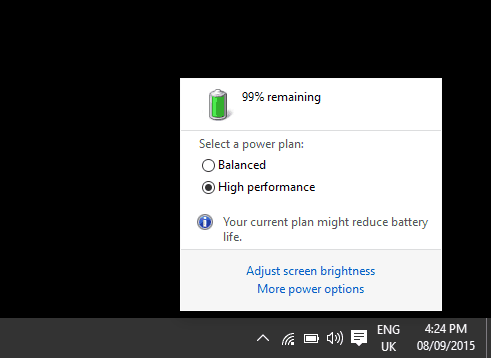 Of course, Microsoft would say that the change is countered by the addition of the Battery saver feature but it is not the same thing anyway. 1. Open the Registry Editor as mentioned above. 2. 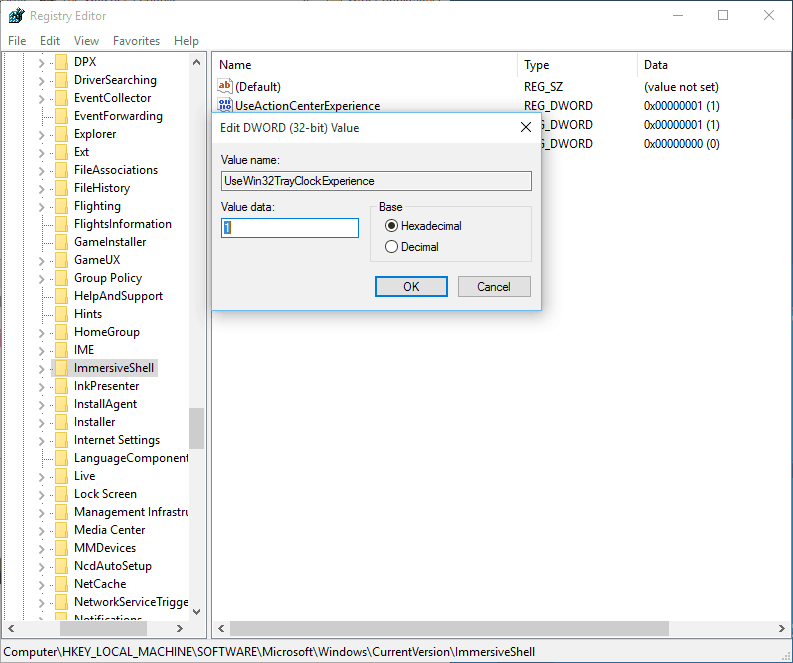 Go to HKEY_LOCAL_MACHINE\SOFTWARE\Microsoft\Windows\CurrentVersion\ImmersiveShell. The ImmersiveShell key should already exist but if it does not, create it manually. 3. Make a new DWORD (32-bit) Value and name it UseWin32BatteryFlyout. 4. Double click on it and change its value to 1. 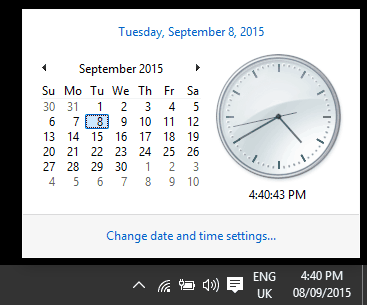 In contrast to the other two utilities, the Clock and Calendar interface offers the exact same features. The only thing that has changed is the design with the main difference being the digital clock of the new UI versus the analog clock of the old interface. Still, some prefer will prefer the old UI so it can easily be changed too. 1. Launch the Registry Editor. 3. Create a new DWORD (32-bit) Value named UseWin32TrayClockExperience.